Billy has nearly 40 years of experience in the residential construction industry, beginning as a first-class carpenter. He is the founder and president of Champion Builders, LLC in Baton Rouge, LA, and is the former President of the Louisiana Home Builders Association. 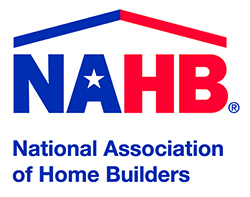 Billy currently serves as Vice Chairman of the NAHB single family builders committee and is a life director for the association. He also currently serves on the International Code Council (ICC), IRC Building Code Committee.